This time the gang heads to Newark to see WWE Smackdown live! This is the first time any of them have seen professional wrestling live, and the most wrestling any of them had ever seen in their lives. Why? Professional wrestling, love it or hate it, is massively poplular. 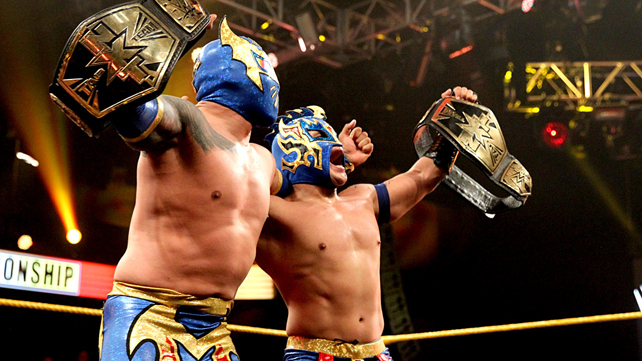 With over 300 events per year and 36 million viewers in 150 different countries – people love professional wrestling! And the history of professional wrestling – goes back hundreds of years to Bunkum, Ballyhoo, sideshows, Punch and Judy shows, even Commedia Dell’arte! It pops up in the 40’s in the USA, Mexico, and Japan. It’s part of the beginnings of the history of television! 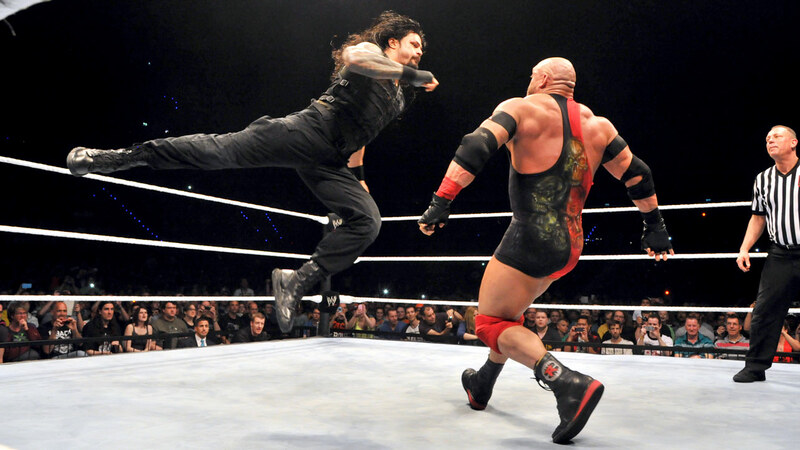 While various leagues existed across the US, World Wrestling Entertainment eventually consolidated them and now hosts events across the world and airs them on television – they even have their own subscriber based cable channel. 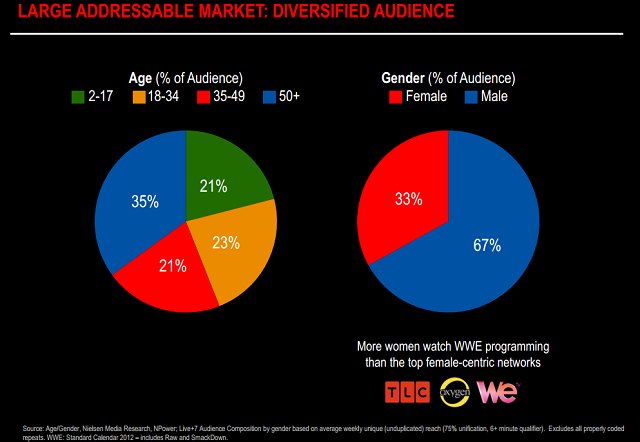 Check out the stats on the popularity of wrestling at the Indeed Wrestling blog. 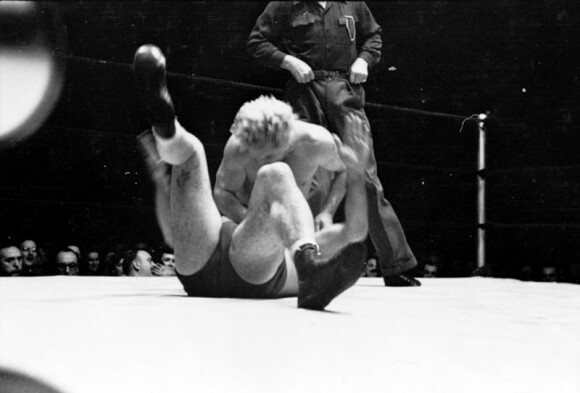 Memphis Wrestling Full Episode 08-14-1982 Nature Boy Ric Flair vs King Jerry Lawler. 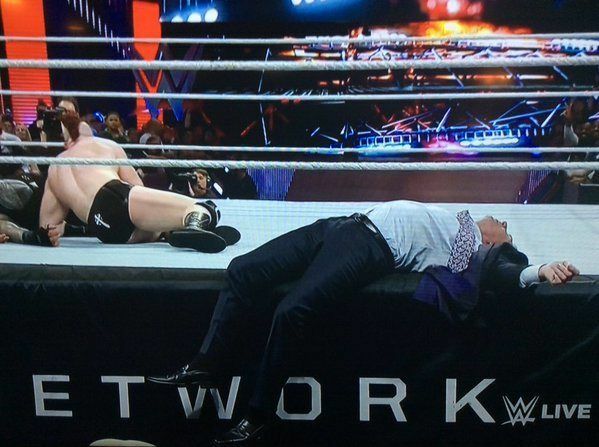 Watch Rick Flair play the heel. Heel (or the Villian) – In professional wrestling, a heel (also known as a rudo in lucha libre) is a wrestler who is villainous or a “bad guy”, who is booked (scripted) by the promotion to be in the position of being an antagonist.13 They are typically opposed by their polar opposites, faces, who are heroic or “good guy” characters. In order to gain heat (with boos and jeers from the audience), heels are often portrayed as behaving in an immoral manner by breaking rules or otherwise taking advantage of their opponents outside the bounds of the standards of the match. Face (or the good guy) – In professional wrestling, a face, babyface is a heroic or a “good guy” wrestler, booked (scripted) by the promotion with the aim of being cheered by fans.1 Faces, traditionally, will wrestle within the rules and avoid cheating (in contrast to the heels that use illegal moves and call in additional wrestlers to do their work for them) while behaving positively towards the referee and the audience. 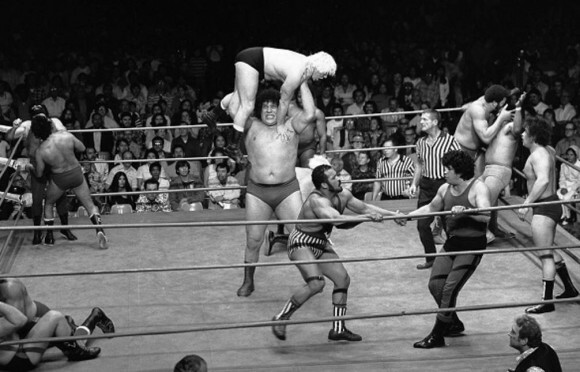 Read THE WORLD OF WRESTLING, from Mythologies by Roland Barthes – yes, Barthes “got” wrestling. These are really worth checking out. Since recording, we’ve learned Rusev was Russian last year – his intro videos included images of Putin – and changed to Bulgarian in 2015. Bo Dallas – The most inspirational wrestler. 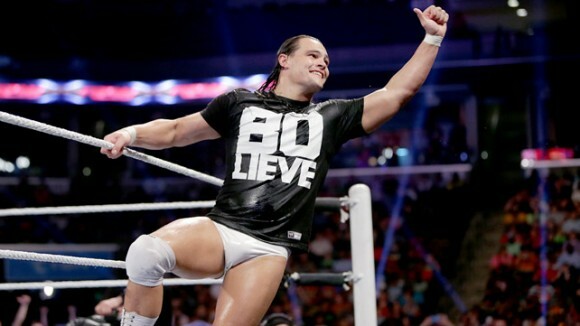 ALL YOU GOTTA DO IS BO-LIEVE! 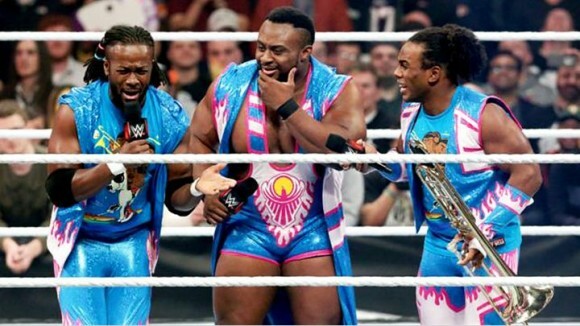 The New Day uses the “power of positivity”… sort of? Side note: “Fox News and various right-wing commentators including Glenn Beck claimed that Swagger and Colter’s characters were a mockery of the Tea Party movement meant to “demonize” the Tea Party”. Read more. 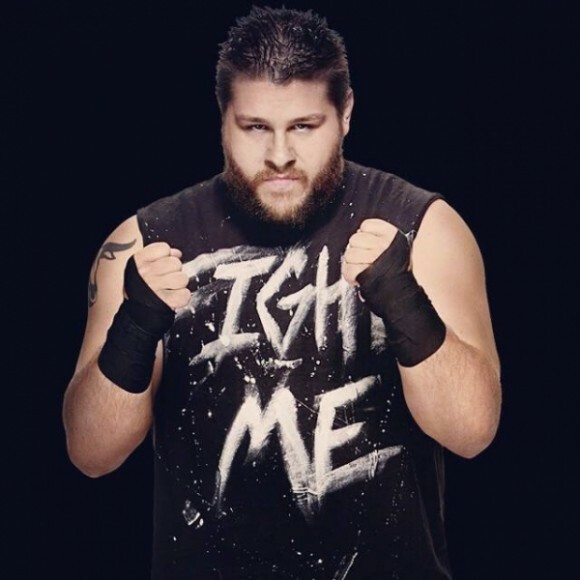 Kevin Owens – not necessarily the most “athletic” looking guy. Relax – not everything needs to be perfect and the show will go on! Repetition – have we underestimated it’s power? 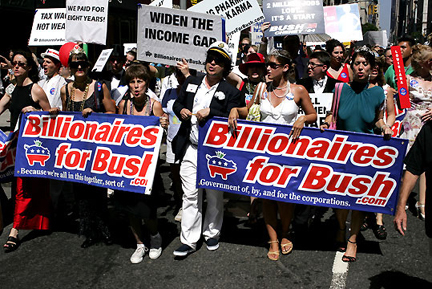 Billionaires for Bush as wrestling heels! Teaching, versus offering an opportunity to learn. Pop Culture Salvage Expeditions Minecraft Episode – we learn about Minecraft, but as Joe McKay points out in his letter, we didn’t actually play it. And being the player is important. How do you include participation, change, and criticism without burning out? Dwayne Johnson shows Jimmy Fallon how to Shake It Off by performing the Taylor Swift hit. Jimmy hits back with a Harry Belafonte classic “Jump In The Line”. Pat – Christmas! And we debate whether to keep Christ in or out of Christmas. Duncombe is for out, but not for the reason’s you’d expect. 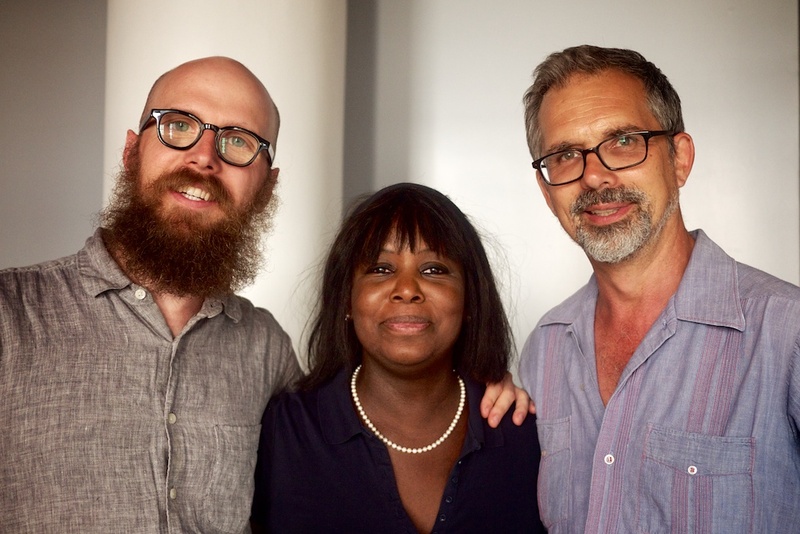 Duncombe – Buying a gun. Yes, Duncombe bought a gun. And it was depressing. Check out more examples of artistic activism on our site, c4aa.org and actipedia.org.